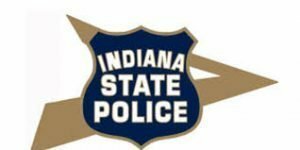 At approximately 9:40 a.m. Wednesday on I-74 eastbound near the seven mile marker (that is one mile west of exit 8/Covington exit), a vehicle fails to slow and runs under the rear of a semitrailer. Preliminary investigation by Trooper Nelson Davis has revealed that a gold 2011 Chevrolet Equinox driven by Lea Michelle Chapman, 25 of Danville, IL was eastbound in the right lane. She was approaching a slower black and white 2005 Volvo pulling a white 2014 Strick trailer loaded with racks. The Volvo was owned by B & W Cartage Company out of Taylor, MI and the trailer was heading to Wayne, MI. The driver, Bassim N. Alataby, 50 of Dearborn Heights, MI said he had just pulled back onto the right lane of the interstate and was gaining speed when the Equinox ran directly into the back of the semitrailer. Lea Michelle Chapman was pronounced deceased at the scene by Fountain County Coroner Joshua D. Whittington. Family has been notified. Alataby was checked at the scene by medics but was not injured. Seat belts were used by both drivers but the severity of the impact was too great for Chapman to survive.